Over Jeremiah’s birthday weekend, we went to Global Winter Wonderland with his family. They used to be in the South Bay, but they moved up north a couple of years ago. I’ve always wanted to check it out because I think the lit up displays look so pretty. We went on a Saturday night, but it wasn’t too crowded. We bought tickets online ahead of time so we could skip the line. Once we got in, there were bubbles everywhere near the entrance sign. Every area was really pretty with all of the lit pathways & displays. They also have an ice skating rink, but we didn’t try ice skating here. They had a couple of food vendors, but not as many as the Alameda County Fair. 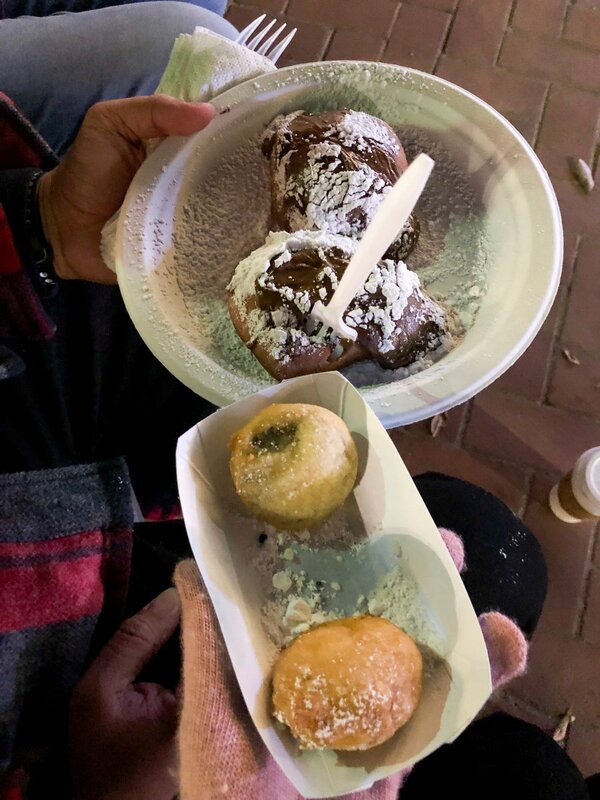 The vendors were selling hot chocolate, beignets, apple fries, popcorn, etc. Look at how gorgeous the displays are! 😍 They had displays from the “12 Days of Christmas” song. They also had two stages for live performances, but we missed a show because we were confused about the performance time that was shown on their map. This is one of the stages for the shows & there’s plenty of seating. They also had carnival games, but we didn’t play because we didn’t really like any of the prizes. We also didn’t feel like getting swindled again like we did at the Alameda County Fair. Overall, we enjoyed our time there, however, I think there just needs to be more clarification on the show times. Certain shows move between the two stages & it wasn’t clear which show was happening when. Previous Post Time For Updates!